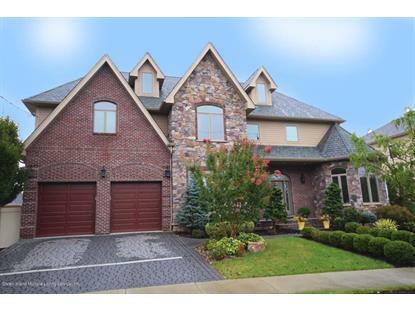 for $1,529,000 with 4 bedrooms and 2 full baths, 2 three quarter baths, 1 half bath. This 3,936 square foot home was built in 2014 on a lot size of 80x90. Sprawling entertaining spaces flow through the first level of this custom designed and built French style Colonial with a tasteful stone and brick exterior. A grand entryway opens to the elegant formal dining room with a tray ceiling and exquisite crystal chandeliers and matching wall sconces. Behind French doors find an attractive office or sitting room to enjoy some privacy. The two story Great room with dramatic windows and granite gas fireplace is a focal point of the main level. A gourmet kitchen equipped with professional appliances, large granite kitchen island with sink, cabinet under lighting, built-in dinette server and butler's pantry offers two entrances and views to the outdoor living area.